Compact 3.8x zoom covers portrait to wide view (76 degrees at 18mm to 22 degrees 50 minutes at 70mm). 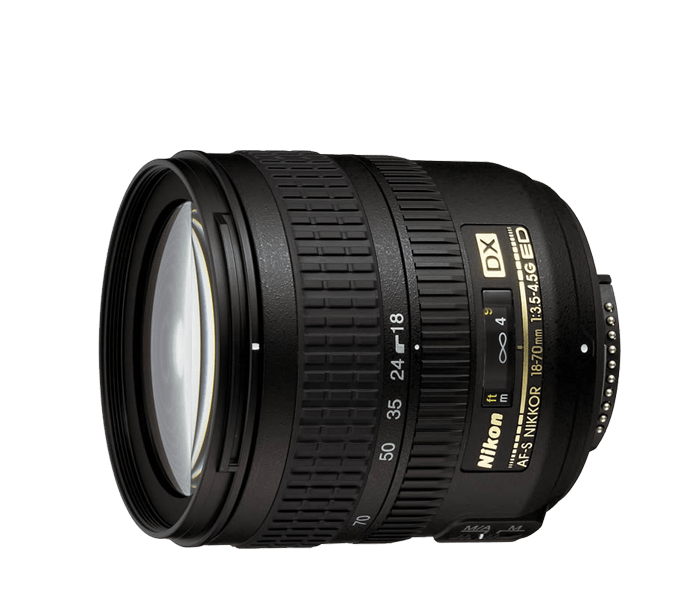 Optimized DX lens design is compatible with every Nikon D series digital SLR cameras. 3 Nikon Extra-low Dispersion (ED) glass elements plus aspheric element for low distortion and minimized chromatic aberration. Exclusive Silent Wave Motor (SWM) for high-speed, auto-focusing with accuracy and super-quiet operation. Internal Focusing (IF) for smoother operation and great balance. M/A mode for instant switching from auto focus to manual Nikon D-Signal technology for enhanced flash and ambient exposure control.